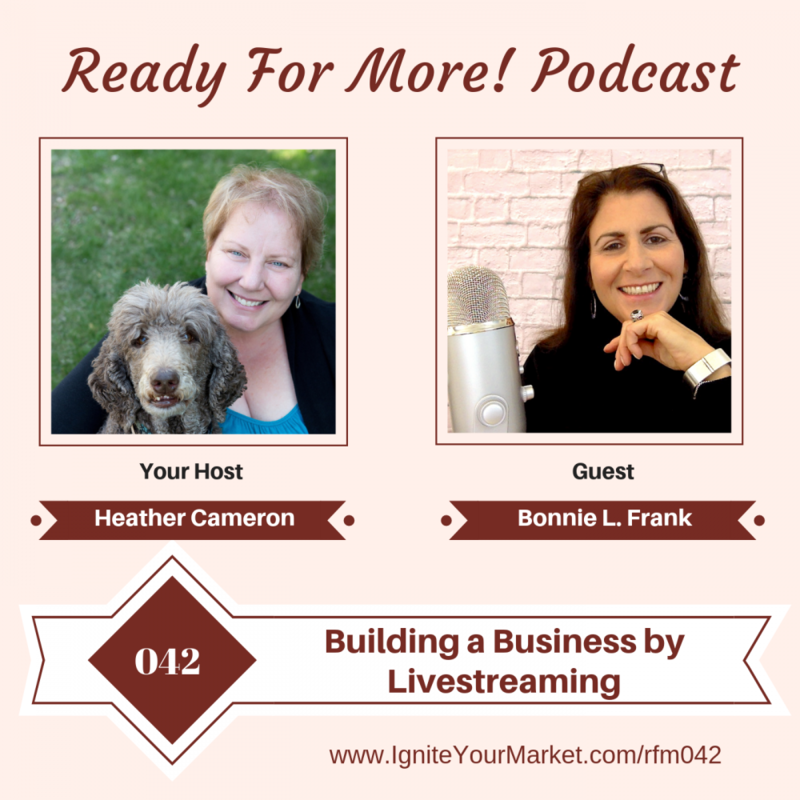 In this episode Bonnie Frank and Heather chat about her journey from a teacher to an entrepreneur through livestreaming. Bonnie shares her expertise and advice about how important it is to know your ICA (ideal client avatar) and to choose what is right for you. Bonnie L. Frank is a made-from-scratch entrepreneur who built her consulting business with a cell phone and a lot of coffee. She is a former teacher and college professor who uses creative and strategic marketing strategies to grow her clients’ businesses worldwide. Bonnie’s logical and no excuses approach to business growth has allowed her to quintuple her business without any formal business training.